Share with friends, followers or your mom - you decide. Use your referral link, invite via email or give them your special coupon code. Share with women who are interested in or totally in love with cannabis! 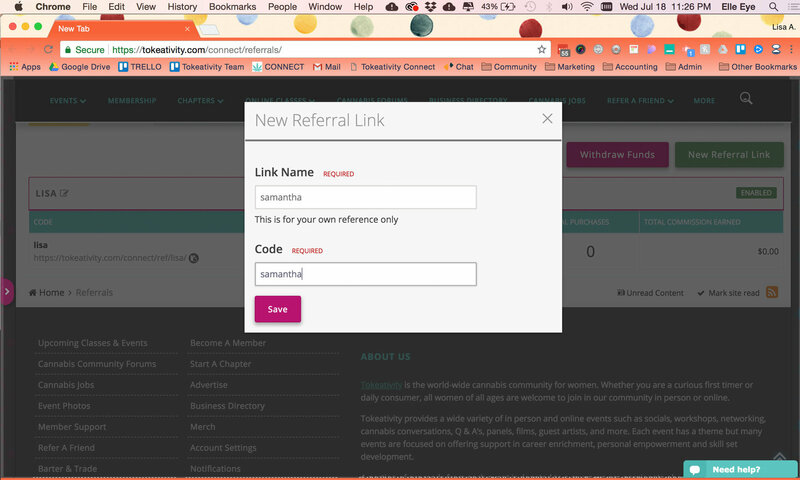 OPTION 1: Use referral links you create. The website will track signups associated with it. Your account gets credited when your friends and followers make purchases. 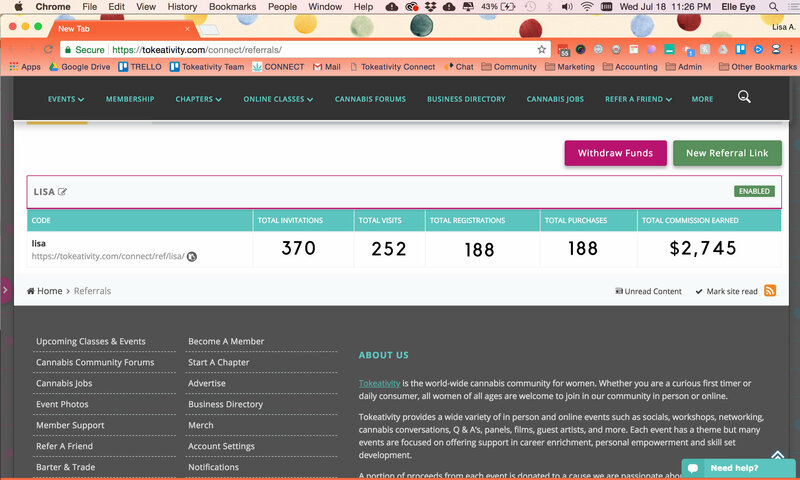 You can use that to make your own purchases for membership, events, classes, or anything else available through Tokeativity.com/connect. ONLY APPROVED AMBASSADORS can withdraw for $. 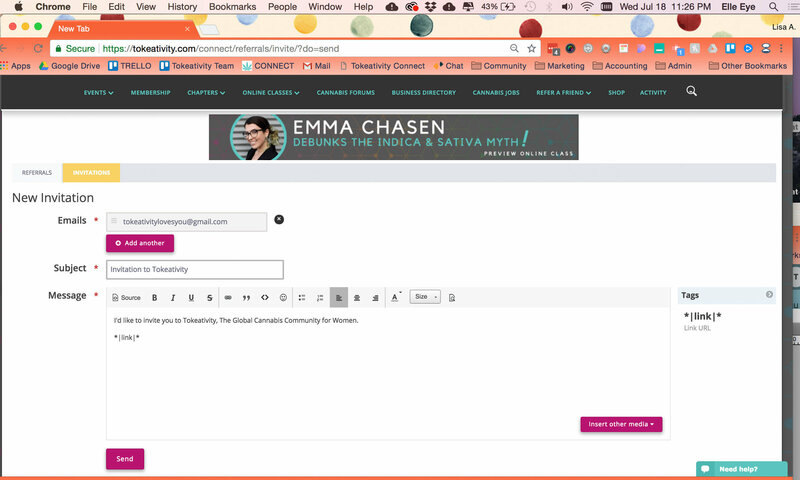 Email us to inquire about our ambassador program. Chargebacks and returns, although rare, do happen sometimes. When a member wants to cancel a product or membership, and credit is due back to the customer, this will cancel out any funds that were previously owed.